Do we have any owners of the Galaxy Camera on Verizon here? 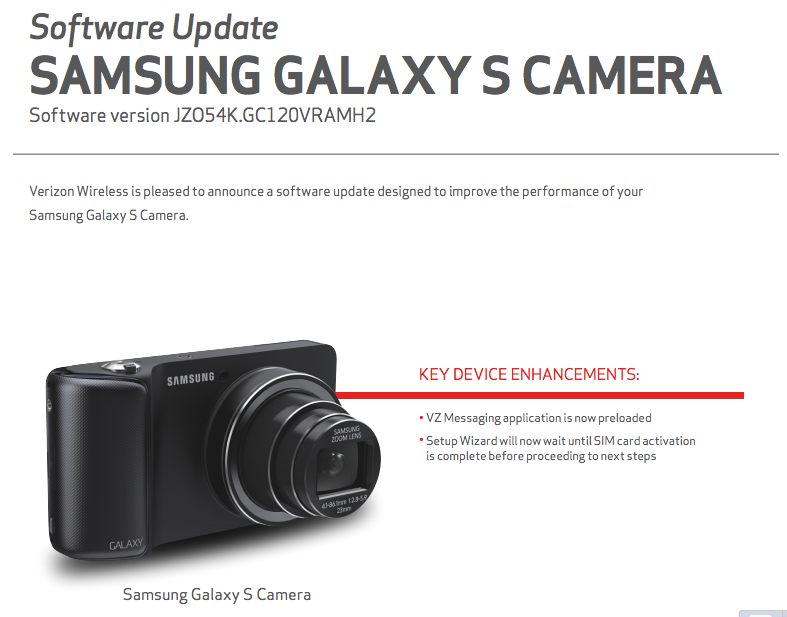 If you raised your hand, your Android-powered cameras are set to receive an update shortly to build JZO54K, which brings a preloaded VZ messaging application, plus some fixes to the Setup Wizard that you are first met with when you activate our device. It’s a pretty minor update, but at least we know it’s still receiving support from Big Red. Be on the lookout over the next few days for the update.